Dear Students, Adda247 brings to you an offer of Flat 15% off on all Adda247 Publications Books. 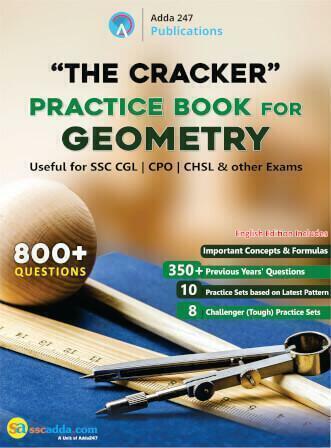 You can now get the compact study material to prepare for the examination that you are interested in for a lesser price than usual. The offer on these books will be valid today. As so many exams are queued up to be held in the upcoming months, you must not wait in the wings and get yourself ready for them today itself. 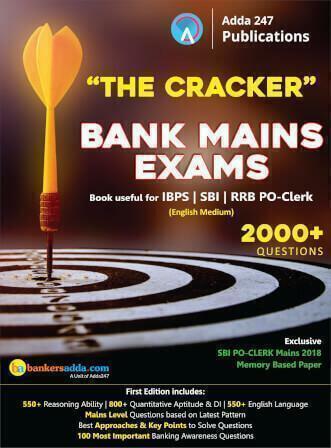 The Adda247 Publications provide one with a wide range of books for IBPS Exams, SBI Exams, RBI Exams, SSC CGL Exam, Railways Exams, CHSL Exam, etc. An exclusive feature of Adda247 Publications also lets you access an e-version of every hard copy book that you purchase which will be updated as per the new changes introduced in future in the pattern of the concerned competitive examination. And nowadays, when one gets to see an exorbitantly changed pattern of examination that is conducted to carry out a government recruitment process, this feature is definitely going do a good turn. So students, do not wait in the wings and start preparing for these exams right away as the time flies like anything. If you do not set aside the casual attitude of yours towards the exams, you would only be planning to get started with your preparations, the time will pass and eventually, you would only be like, "Gee! I could have performed much better had I started my preparations on time." Gather the study material that is important for your preparations and get to the work to find a place in the sun. So, students, there's a 15% discount on all Adda247 Publications Books. Get the books while the going is good. If you keep working hard, you are well on your way to success. It's an opportunity to get better, don't waste it.